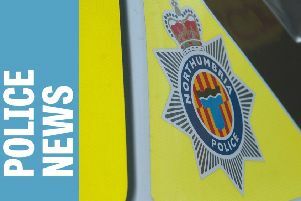 Police are appealing for information after a shed burglary in Ashington. Between 8pm on Sunday and 6.20am on Monday thieves broke into a shed in Park Villas. They stole a woman’s Raleigh silver and purple mountain bike, an orange Flymo garden vacuum, a three way combi ladder and a fence paint gun. Enquiries are ongoing into the burglary and anyone with any information is asked to contact police on 101, ext 69191, quoting reference number 130 090215.